Using mobile devices to monitor home security is becoming one of the easiest ways to help protect your home. 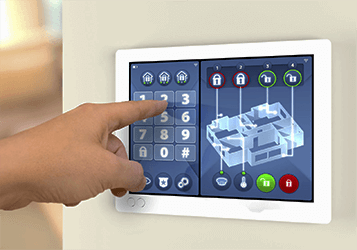 There are numerous security systems that interface with multiple mobile device platforms such as Android and iOS. These security systems have turned your home into a smart home. Our products monitor home security devices running on different platforms from a remote location with our device management platform. We help you remain connected and informed through alerts on your phone in case of an emergency or security breach. Home security systems deploy an array of devices for monitoring and data capturing. These devices in turn need to be monitored for maintenance. They also need to be connected centrally to collect captured data. Security solutions providers need to give their users a way to remotely control various devices and also to view the output in a dashboard. Many security solutions providers have started giving a dedicated device to their clients. These devices are converted into safe single purpose devices with the use of our product SureLock. Managing these single purpose devices used as remote control is done with our product SureMDM. 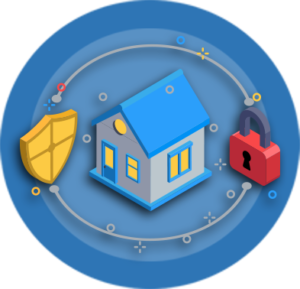 42Gears provides reliable solutions for security and management of devices deployed in Home Security. Use our products to prevent misuse of devices deployed at home for security. We allow you to password protect device settings so that only authorized users have access to it and give you peace of mind. The device can be set to be used exactly the way you want for applications and content. This will help you protect your devices from malware, giving them longer life and better performance. We help you ensure that your devices are always fit for use. Monitor health of devices, get alerts and notifications when thresholds get crossed. Improve process efficiency by collecting data and performing diagnostics. Generate reports for usage patterns including data and keep your expenses in check. Our products can also be easily upgraded whenever an upgrade is available. 42Gears provides easy mass configuration and deployment options so that your devices can be set up in no time. After deployment, managing these devices is simple and easy with a centralized web console. All devices can be monitored in real time with the web-enabled device. You will also get to see live video feed with strategically placed cameras connected to your device to check on your homes and pets from anywhere in the world. Wiping data, pushing software and taking control of device can all be done remotely, saving your precious time. We help you maintain and support large number of dedicated devices with complete ease. With our product you can remotely take control of a device and provide real time technical support without physically having to attend to it. We let you group your devices and schedule maintenance activities.